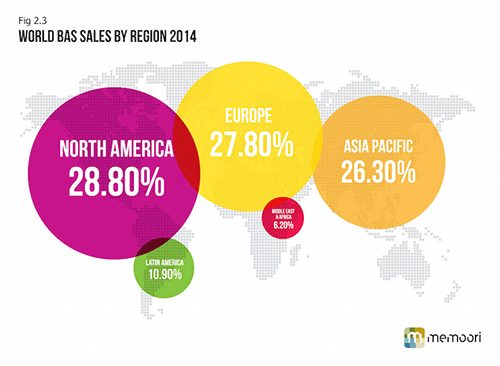 Why do you need this market research report? This report will help stakeholders and investors interested in Building Automation to identify emerging trends and business opportunities in the market. In the future BAS suppliers will face the choice of taking a reduced share of the new BIoT business or expanding their horizons to deliver a more comprehensive system through engaging with IoT Data Services. This report shows that major disruption is on its way as both the competitive landscape and the supply chain will change for all those suppliers that want to engage in the wider BIoT business, which will reach $76Bn by 2020. BIoT will create very significant disruption to the supply side as the contractual procedures and routes to market will be forced to change as BAS morphs to BIoT; and in the process create many winners that have put in place the resources and skills to properly meet this challenge. The starting point of the report is to size the current market for all the BAS services and projecting demand until 2020. 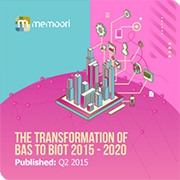 Memoori estimates that the world market for BAS at installed value in 2014 was $120Bn. This was shared between 9 services include Access Control, Building Environmental Control Systems (BECS / HVAC Control), Energy Enterprise Software, BAS Integration Services, Intruder Alarms, Lighting Controls, Video Surveillance, Fire Detection and Others. Memoori estimates that the value of the BAS hardware associated with BIoT projects at installed prices in 2014 was $35.15Bn accounting for approximately 55%, Enablement Hardware took a 13% share, Network Communication Services 17% and IoT Data Services secured 15%. Projecting the sales of these 4 major components through to 2020 shows a significantly changing picture with IoT Data Services increasing its share to 26.5%, Network Communication Services rising to 22.5%, whilst the contributions from Enablement Hardware and BAS Services declining to 11% and 40% respectively. Memoori expects that for the Building Internet of Things (BIoT) to deliver a comprehensive and cost effective solution across all the services that now co-exist in Smart Buildings it will require fundamental changes on how systems are designed and contacts to install are let. 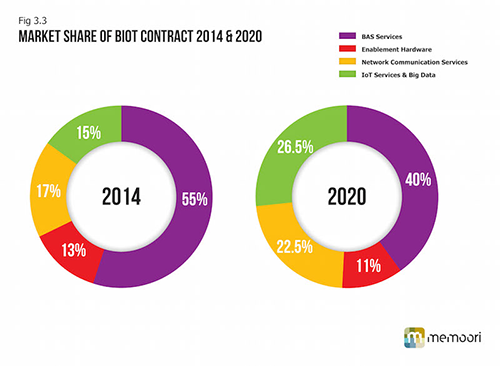 We expect that in the future, BIoT will be organized around 4 main contracts, which are identified and analyzed in the report. BAS Services from a whole range of sensors and devices from building energy controls to physical security products are gradually but inevitably morphing into a more comprehensive and fully automated BIoT solution. However this report shows that manufacturers of BAS products are in danger of letting this opportunity pass them by as new players from the IT and Communications Industry take the driving seat and could steal the new opportunities that the business offers. Starting from only USD $999 this report provides valuable information into how & why the Building Automation Industry is Transforming into the Building Internet of Things AND how companies can develop their Smart Building business through Merger, Acquisition and Alliance. The report focuses on market sizing and opportunities for Building Automation Systems, providing a fresh market assessment based upon the latest information. The information will be of value to all those engaged in managing, operating and investing in BAS & Internet of Things companies (and their advisors) around the world. In particular those wishing to develop their business within the Smart Building Industry will find it particularly useful. Nu kan du beställa rapporten direkt från AR Media International för endast 7 400 kr.